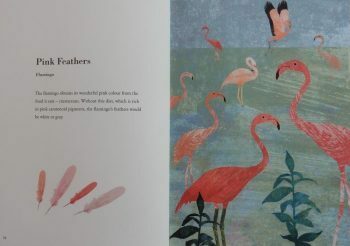 Booktalk: The feather — at once fragile and stong, versatile and beautiful — is one of nature’s most ingenious constructions. What are feathers made of? Why do birds have so many of them? How do they help birds fly? And what other purpose do they serve? 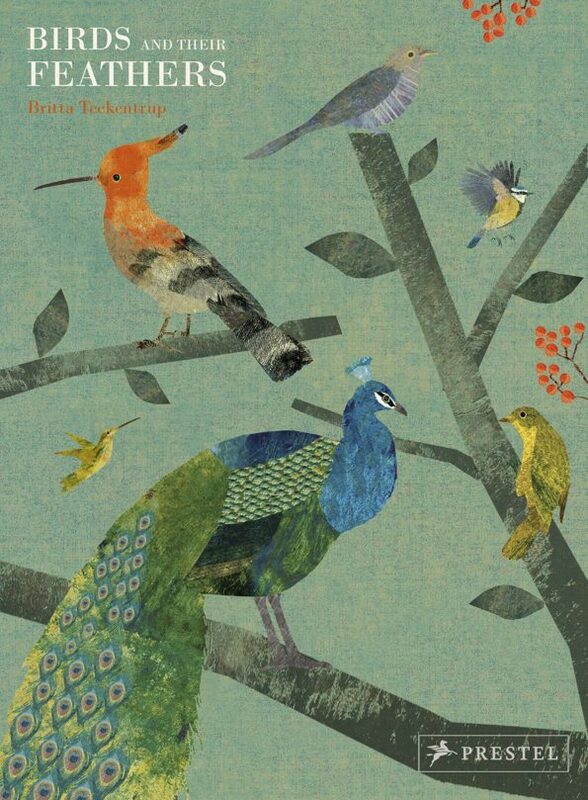 Find out in this book about the wonders of “plumology,” bird feather science. The flamingo obtains its wonderful pink colour from the food it eats — crustaceans. Without this diet, which is rich in pink carotenoid pigments, the flamingo’s feathers would be white or gray. 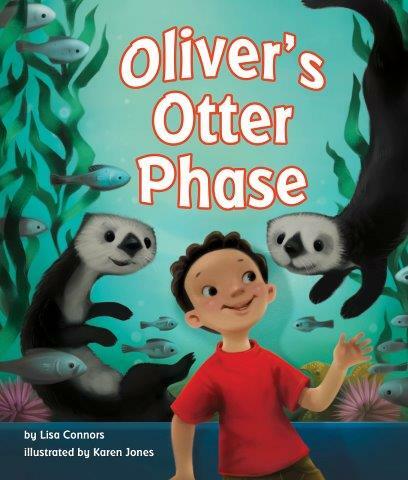 Oliver’s otter phase began one morning after a trip to the aquarium. At mealtime Oliver tries to use his chest as a plate. That’s what otters do. While shopping, he tries to get dad to tie a string to him because mama otters tie their babies to pieces of kelp so the don’t get lost. Oliver tries out a lot of otter behaviors that don’t make sense for kids, and one that does. 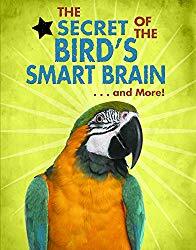 A fun story for any kid who’s wanted to be something more exciting than a … kid – even if they would rather be a polar bear or eagle. Back matter includes a comparison chart for otters and humans (you can make one for the animal your kid wants to be), plus more otter info and a fun game. Head over to Archimedes Notebook for more animal books. 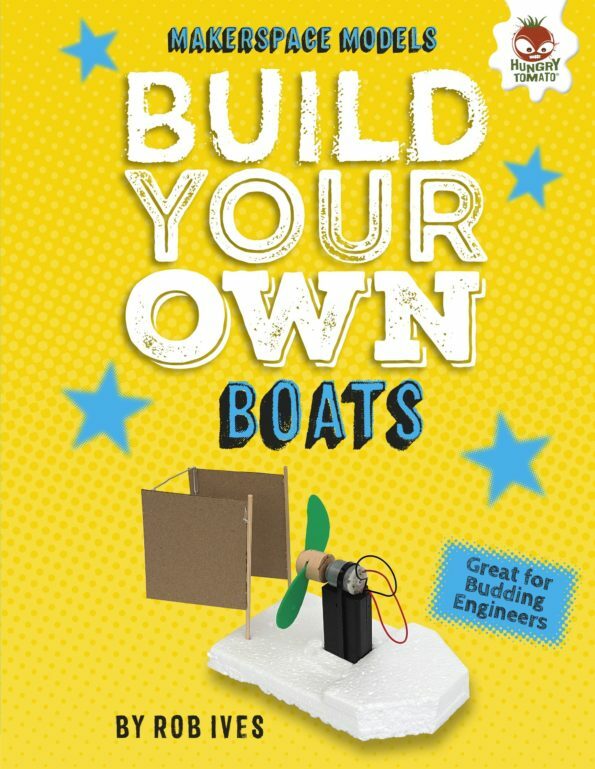 Booktalk: Landlubbers can make a splash with these easy-to-make watercraft using simple, everyday items! 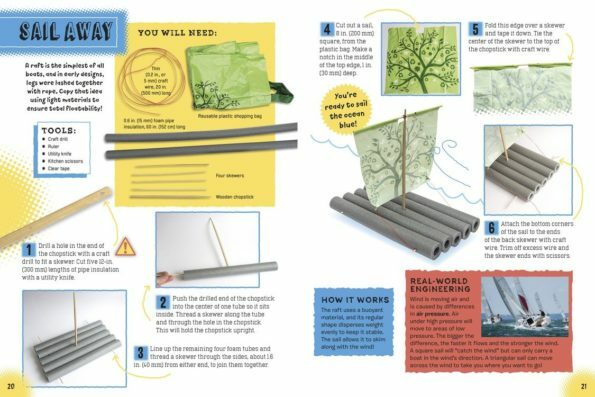 You’ll be surprised how you can use two soft drink cans and a rubber band to make a catamaran, a plastic bottle and baking soda to make a jet boat, and more! this nation did just that. Not only did we achieve the goal, we did it all in the days before personal computers, cell phones, ATMs, and video games were invented. If you visit the historic Mission Control room in Johnson Space Center, you will be amazed at what was accomplished with the technology of the time. In free verse poetry, Suzanne Slade recounts the extraordinary journey, both daring and dangerous, that culminated in the first humans to walk on the lunar surface. excitement builds at Mission Control. has ridden a rocket beyond Earth orbit. “3,2, light On. Ignition,” Borman announces. sending the craft on its long trek to the Moon. The text is presented against a backdrop of illustrations in pastel, colored pencil, and airbrush. Gonzalez has created a delicate balance of realism and magic. The artwork is recognizable as images seen in news media of the era, and yet, it is elevated with a patina of enchantment. The resulting combination is stunning. Between chapters, there are two pages detailing each Apollo mission, which include photos, astronaut bios, and mission statistics, e.g., dates, duration. Extensive back matter includes more information on Apollo 11, and Author’s Note, Illustrator’s Note, Selected Bibliography, Sources for Quotations, and Photo Credits. As the nation contemplates manned missions to Mars, it is fitting to look back on the sacrifices and triumphs of an earlier space-traveling generation. Thomas Gonzalez is also the illustrator of the stunning and moving book, 14 Cows for America by Carmen Agra Deedy. My copy of Countdown was supplied by the publisher. Johnson Space Center is currently seeking donations to support the restoration of the Historic Mission Control room. See all my reviews at Shelf-employed. 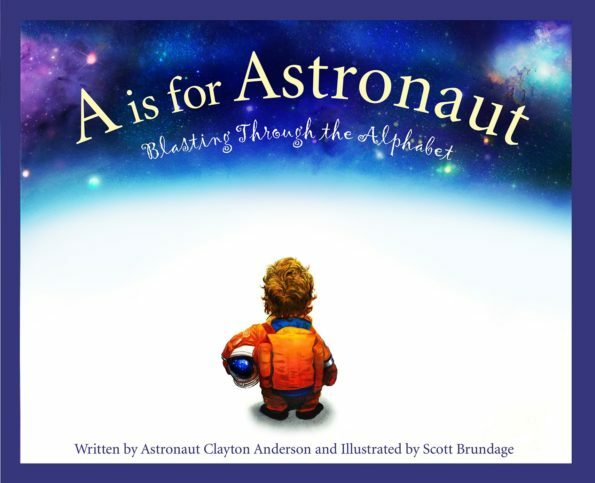 Booktalk: Former astronaut Clayton Anderson takes readers on an A to Z flight through the alphabet from astronaut and blastoff to spacewalk and Zulu Time. Topics cover the history of NASA, science, and practical aspects of being an astronaut using fun poems for each letter paired with longer expository text in the sidebars. Kids love to ask questions. Why is the sky blue? How does the car go? 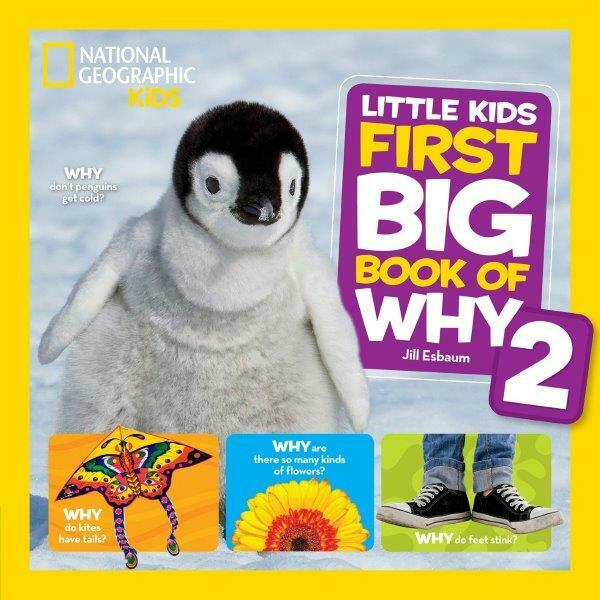 Here are two fun books from National Geographic Kids that help answer the plethora of questions we face every day. I love NGK books, but sometimes they get buried beneath a stack of other “gotta reads”. This book, published about 6 months ago, is a great place for kids to find inspiration and explanations. 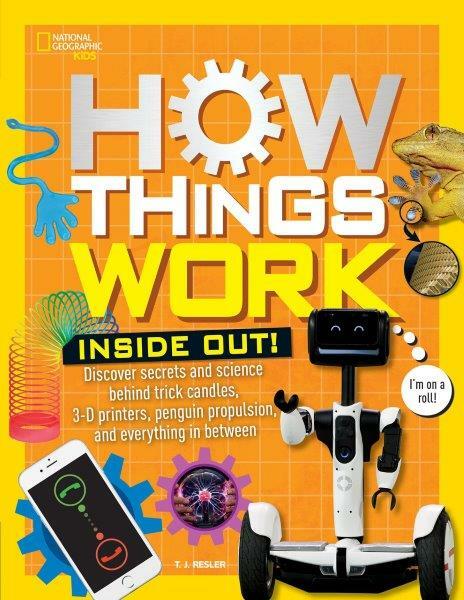 It features gizmos, gadgets, construction, auto engineering, and accidental inventions. Inside the pages you’ll find the inside scoop on segways, self-driving cars, and sticky situations (think gecko glue). There are bios of engineers, scientists, inventors, and architects who dreamed big and – more importantly – didn’t stop when they were told something was impossible. There are plenty of things to try, too. So make sure the kitchen junk drawer is well-stocked this summer and there’s a place to invent. Want to know why you yawn, why bubbles are round, why birds sing, or why weeds grow in gardens? Then this is the place to look. The book is divided into four sections: Me, Myself, and I; Fun and Games; Awesome Animals; and Nature. Each page features photos, easy-to-read text, fun facts, and sometimes a question. Each section contains two hands-on activities and ends with a game. Back matter includes a “Parent Tips” section with nine “beyond the book” activities to share with children. Each activity focuses on some aspect of STEM: observation, experiment, measuring – plus imagination and art. A list of resources includes books and websites for further exploration.